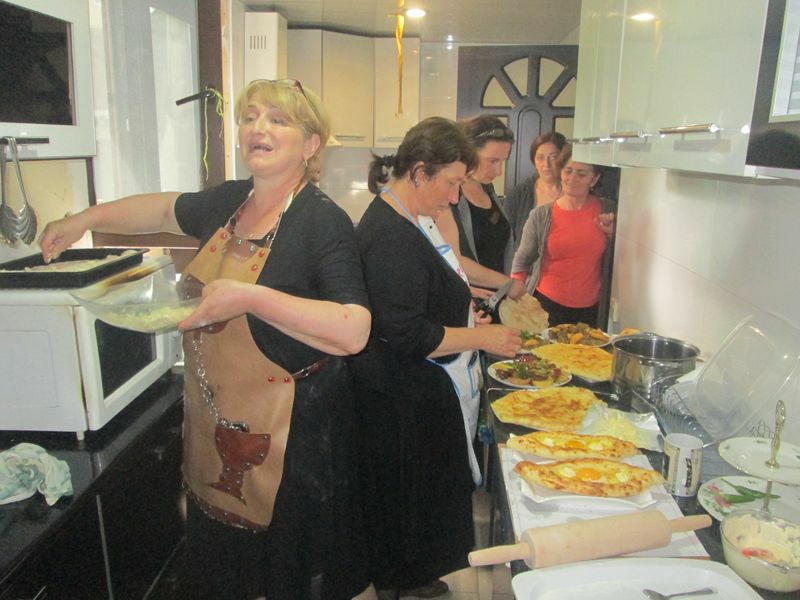 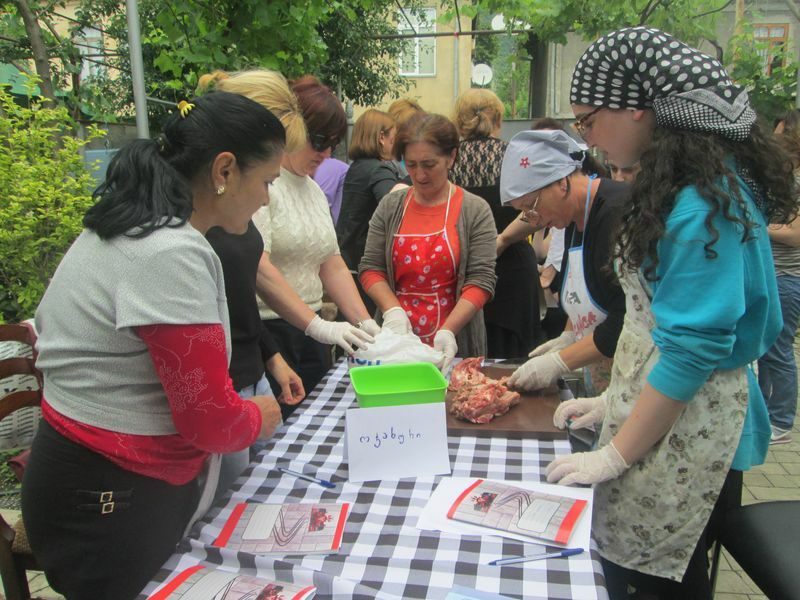 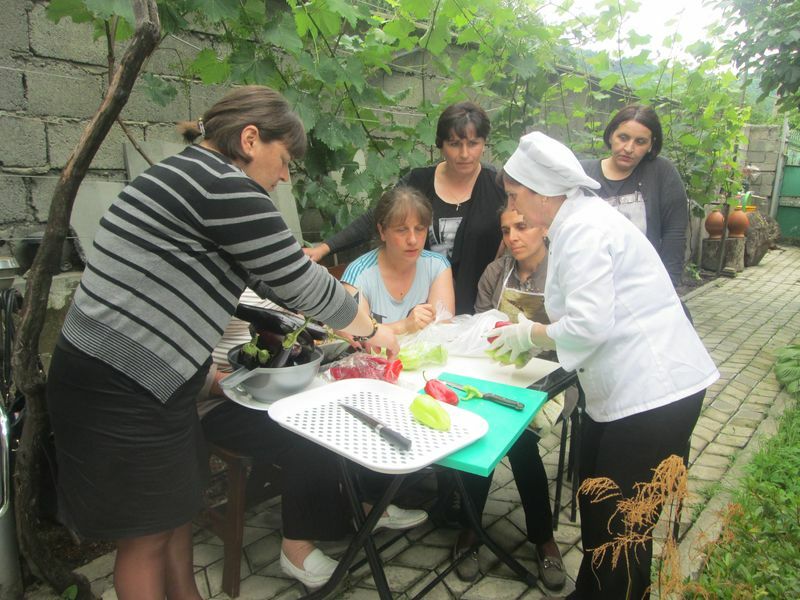 On November 30, 2016, in a frame of the project “Sustain development of women in western Georgia, development of professional and personal skills” two master-classes in the “cook’s specialty” were conducted in Tsageri, by the initiative of the “Fund of Women Entrepreneurs” and by the request of the beneficiaries. 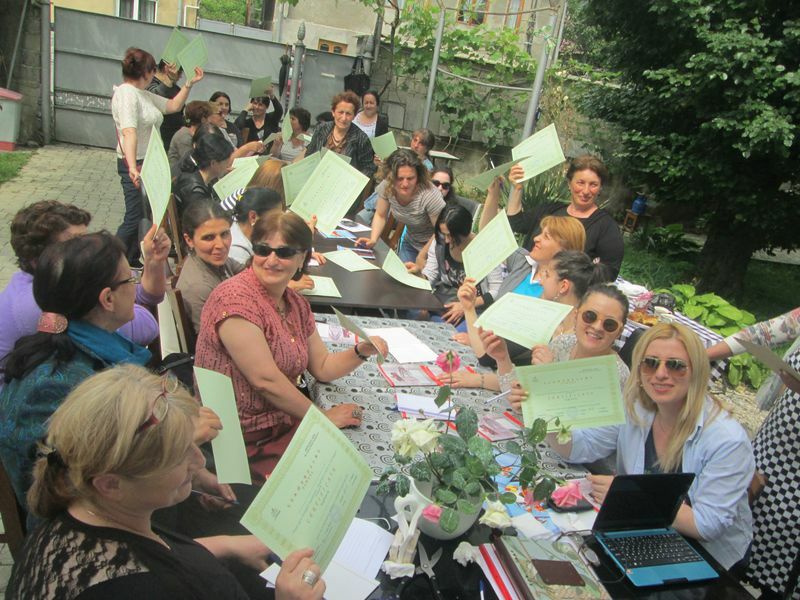 23 people took part in the master -class . 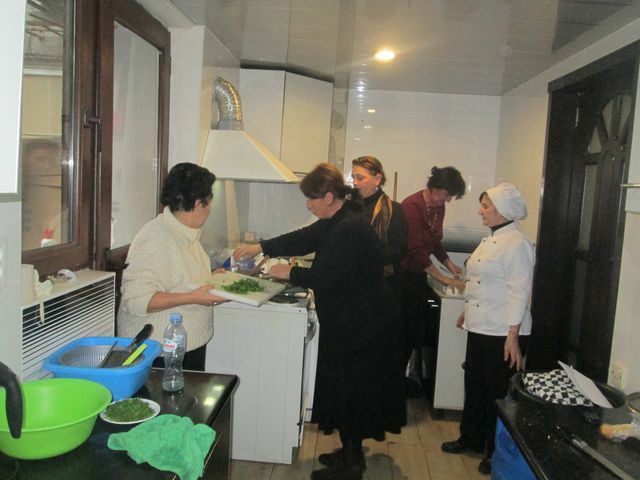 Including employees of the guesthouses. 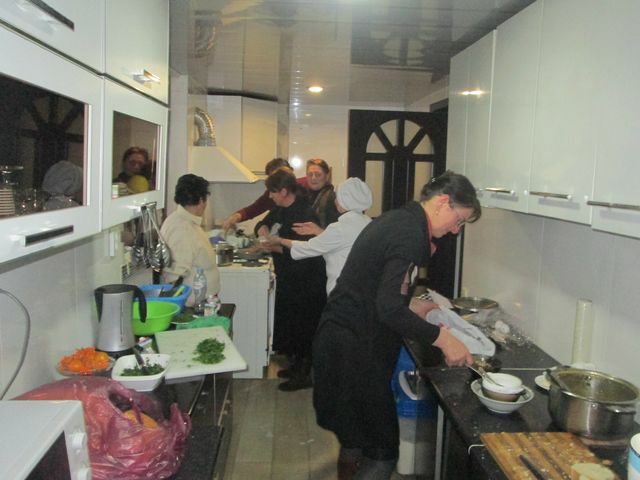 They were from the villages of Kveda Tsageri, Gveso and Chkhuteli; Master Class led by a professional cook Ms. N.Nachkebia.There were prepared dishes: chikhirtma and beefstroganov. 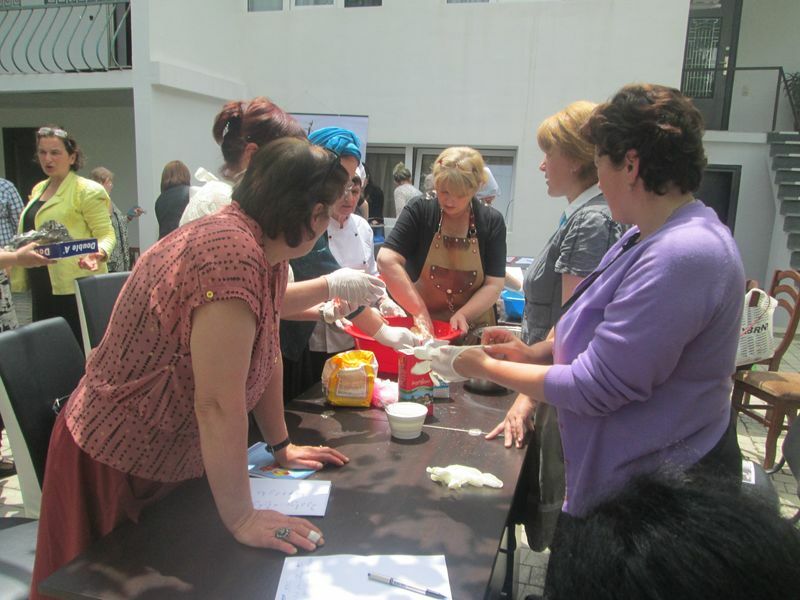 The main aim of the master class: women’s professional development and to increase employment opportunities. 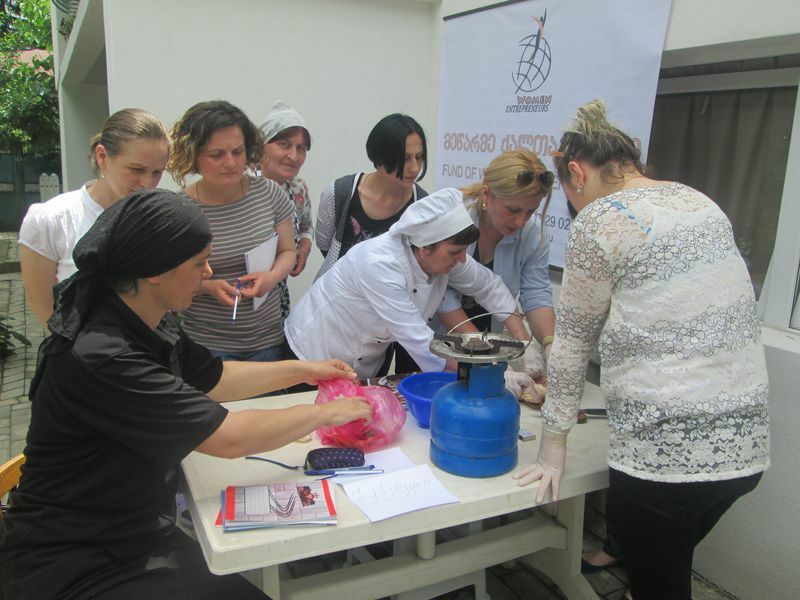 On June 17,2016, in Tsageri, two master classes were held in a “profession of the cook” by the initiative of Fund of Women Entrepreneurs, in a frame of the project “Sustainable Development of Women in the Western Georgia- development of professional and personal skills”. 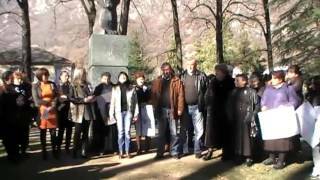 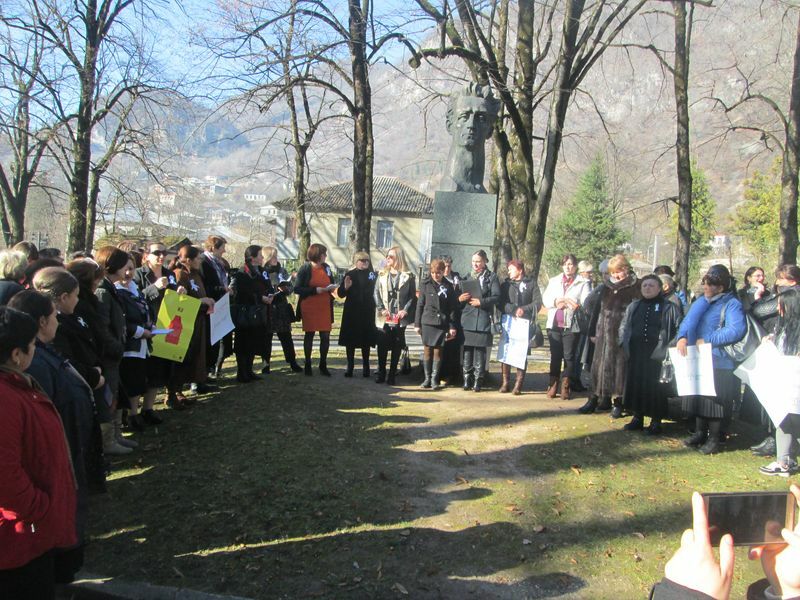 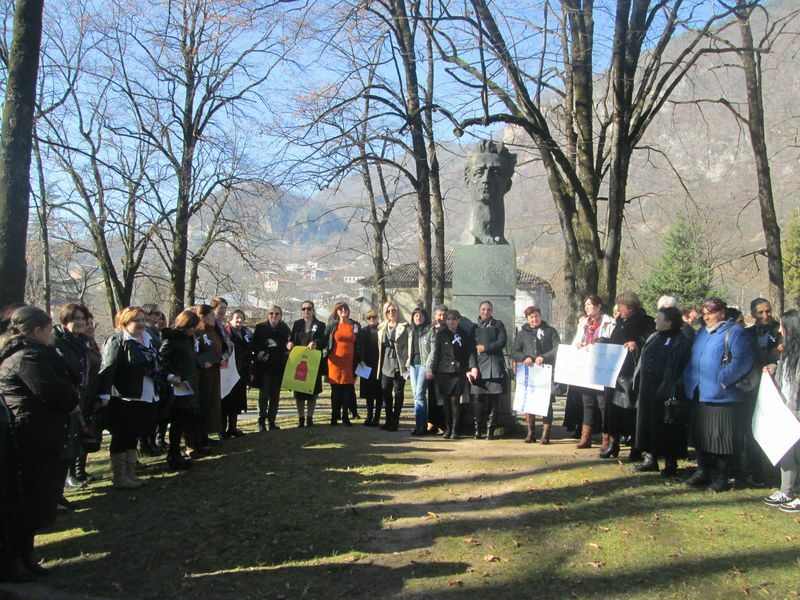 38 people, members of initiative groups of villages: Kveda Tsageri, Gveso and Chkhuteli took part in it. 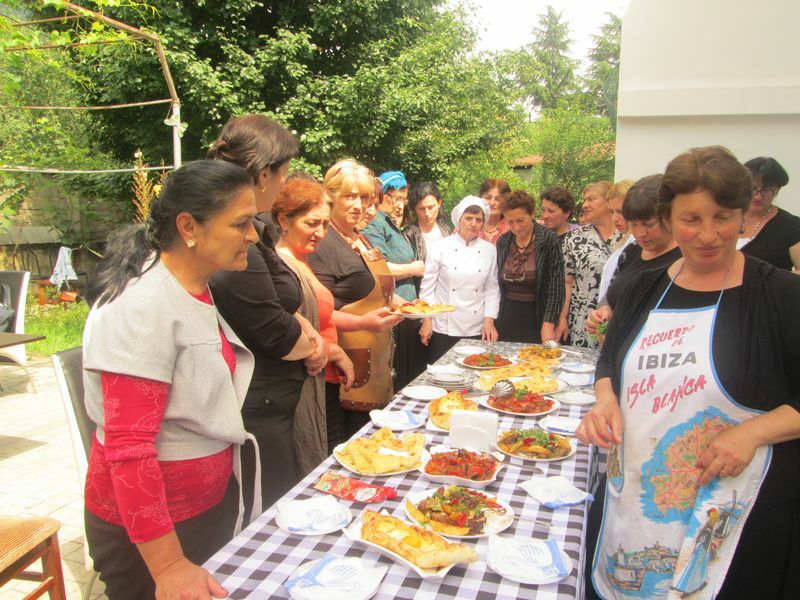 The master class was held by the professional cook Mrs. N. Nachkebia. 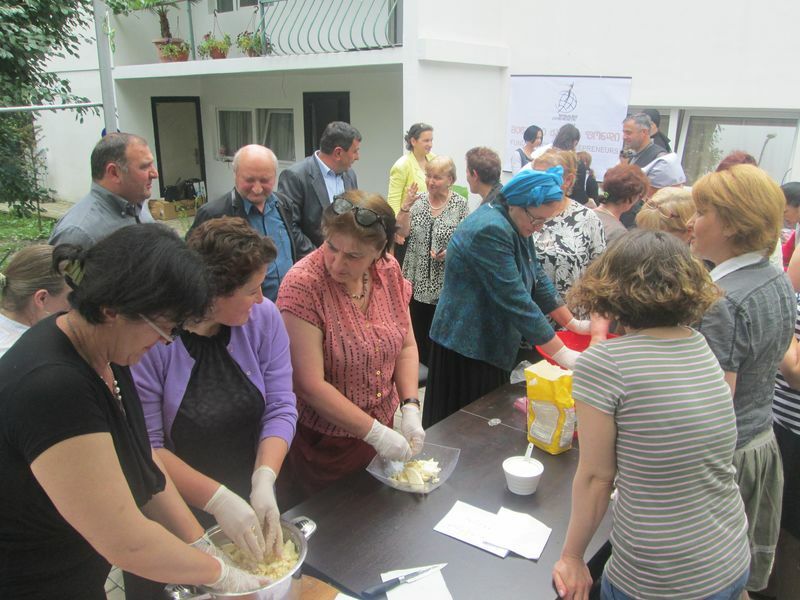 At a master class there were representatives of local government (from Kveda Tsageri, Gveso and Chkhuteli), and also representatives of mass media. 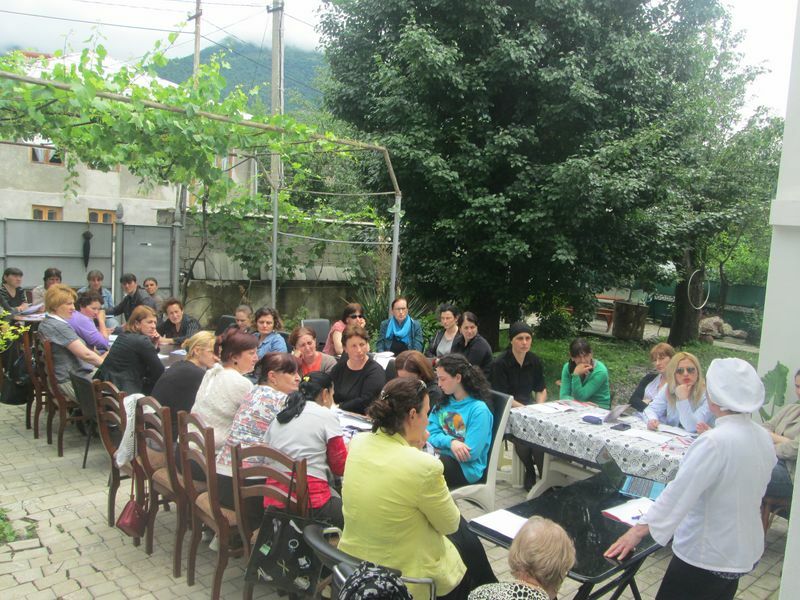 The main result of holding this master class is professional development and rapprochement of women from three villages for future cooperation.